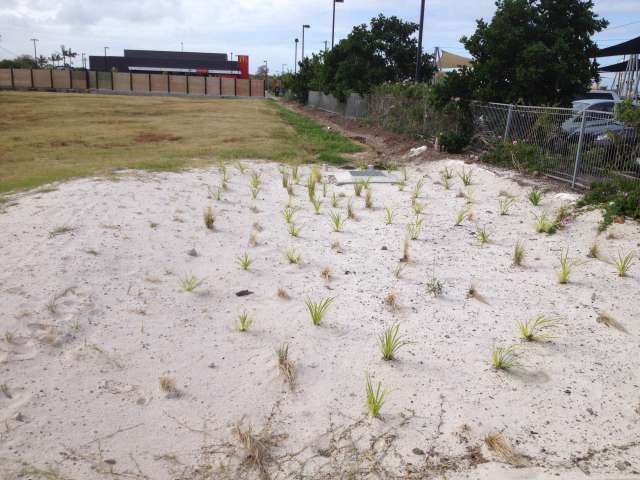 Home \ What's New \ Sunstate Sands Helps Clean Up Bargara. An international renowned food chain recently constructed a new store in Bargara and has used Earth Commodities’ certified Bio – Retention Filter Blend to the filter the storm water run-off from their car park and the surrounding area. 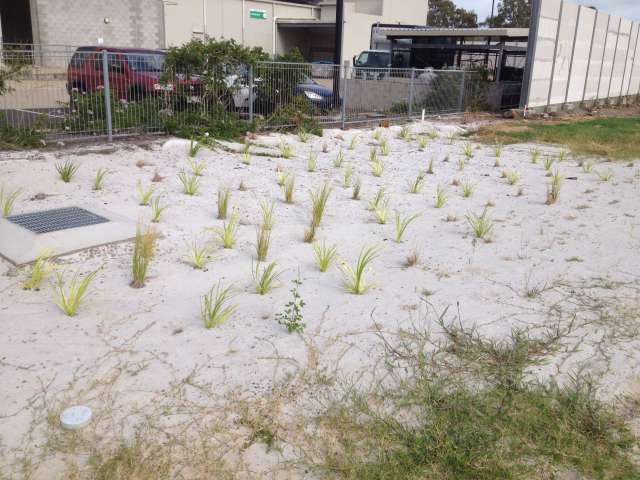 The concept of the Bio-retention basin to slow down the absorption of the water from the car park and surrounds (that may contain oils and other pollutants) long enough for the specifically chosen plants to absorb those pollutants and thus allowing cleaner water to flow through to the under lying storm water drains. This is now compulsory by the State Government in most new developments and sub divisions. To achieve this result, a strict specification must be adhered to ensure the correct flow rate to slow the water down while having sufficient organic and natural chemical content within the mix to promote healthy plant life during the initial stages.